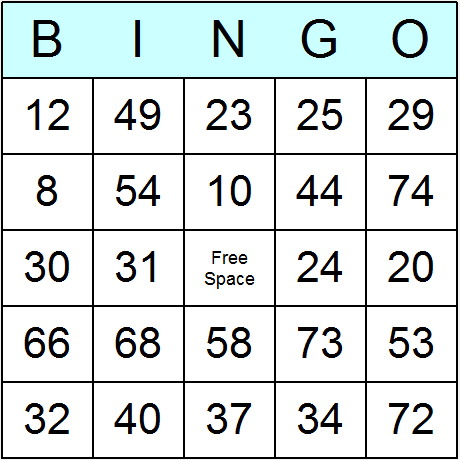 The latest version of our bingo card maker software, Bingo Card Printer 6.01, comes with hundreds of ready-to-use bingo activities and bingo games. 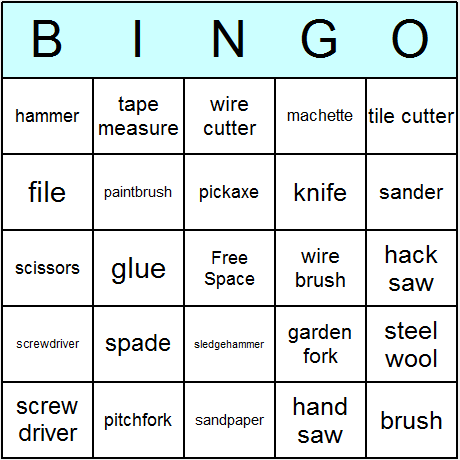 You can print and use any of these bingo activities exactly as they are, or you can use them as a starting point for your own projects - by adding your own items, deleting unwanted items, customizing colors and fonts, etc. 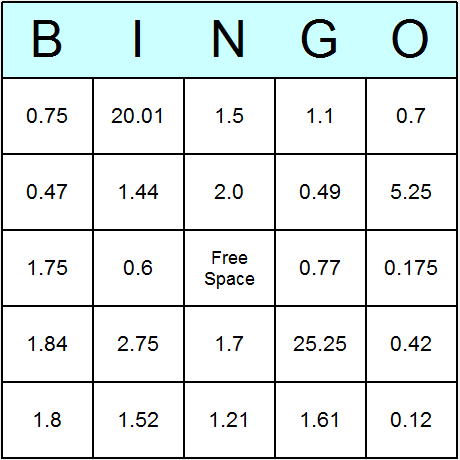 The "Simple" category contains printable bingo card templates for simple items such as letters, numbers, and Roman numerals. 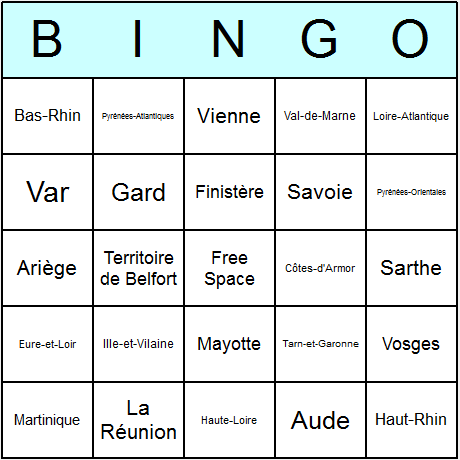 Also included in this category is an option to create a blank bingo card, to which you can add your own items. 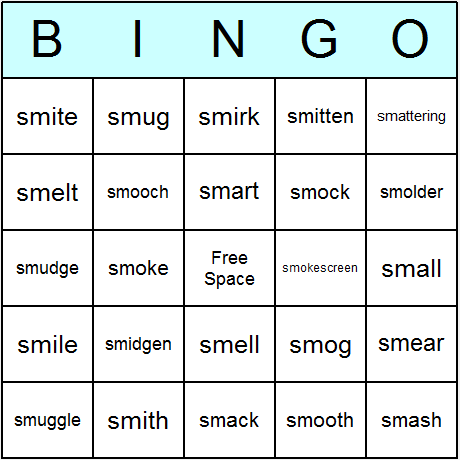 The "Art" category contains printable bingo card templates for art topics such as painting and artists. 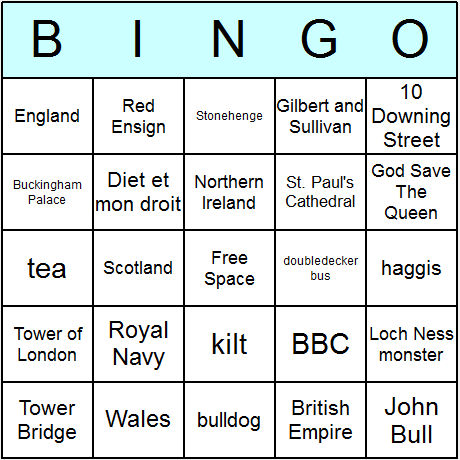 The "English" category contains printable bingo card templates for items related to the English language, including grammar, figures of speech, the NATO Phonetic Alphabet (widely used in aviation and other areas), and ESL ("English as Second Language") vocabulary. 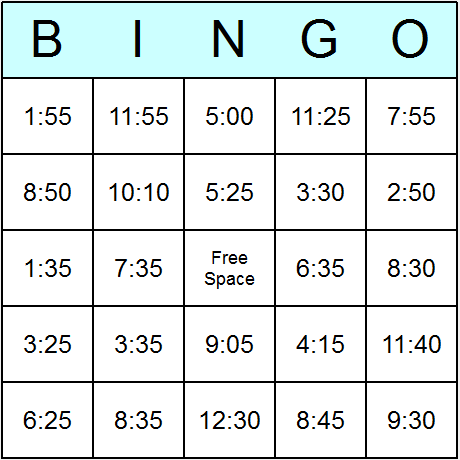 The "Events" category contains printable bingo card templates for events such as baby showers, bridal showers, birthdays, and wedding anniversaries. 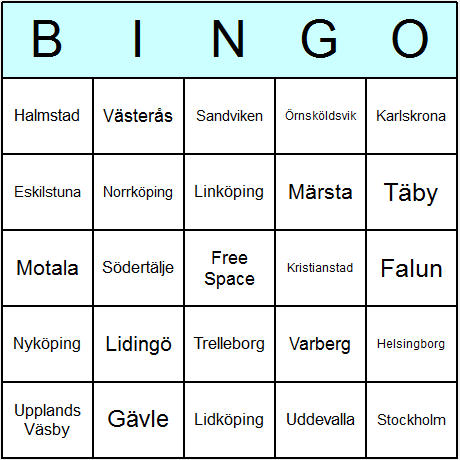 Also included in this category is icebreaker bingo which is a fun way for people to get to know each other at events, social gatherings, social functions, classes, etc. 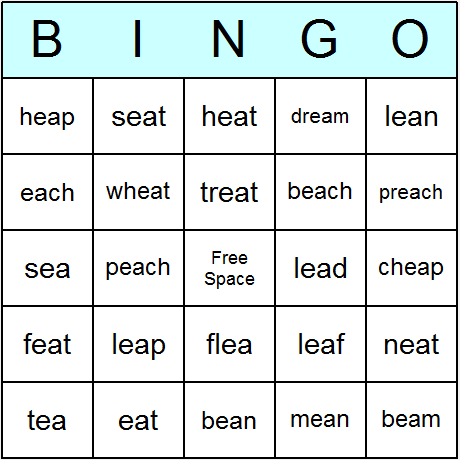 The "Food" category contains printable bingo card templates for food and drink topics. 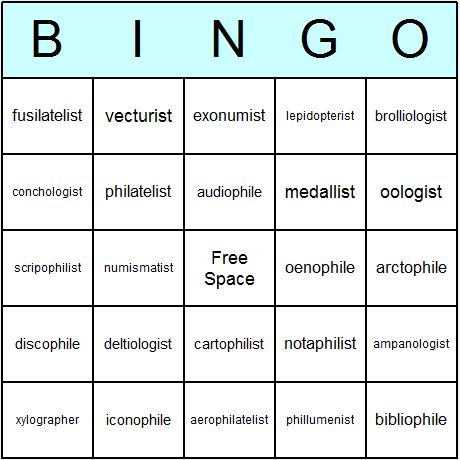 The "Geography" category contains printable bingo card templates for geography topics, including countries and cities around the world, physical geography (like mountains and deserts), and human geography topics such as language and culture. 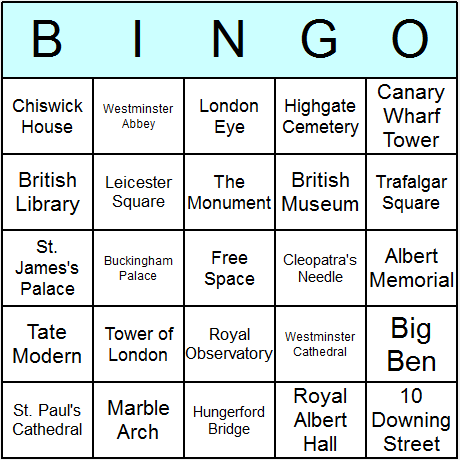 The "History" category contains printable bingo card templates for a wide variety of history topics including ancient history (Egyptians, Greeks, Romans), medieval history (Vikings, Normans, etc. 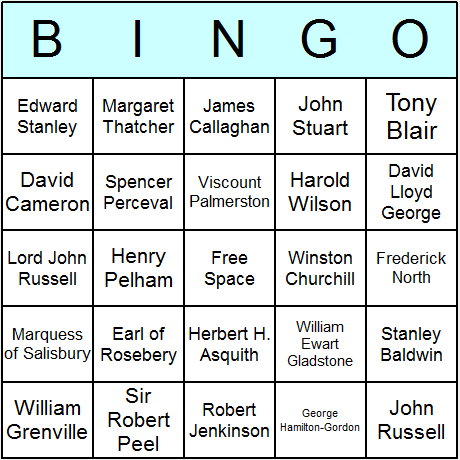 ), the English Civil War, the American Revolution, the British Empire, the Americal Civil War, World I, World II, and much more. 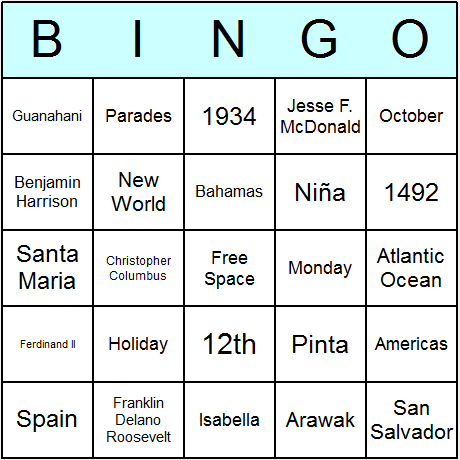 The "Holidays" category contains printable bingo card templates for holidays such as July 4th (Independence Day), Christmas, Halloween, Thanksgiving, Easter, St. Valentine's Day, and many more. 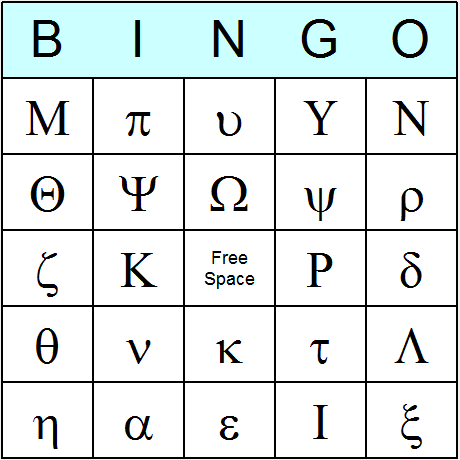 The "Languages" category contains printable bingo card templates for foreign languages including French, German, and Spanish, as well Greek alphabet. 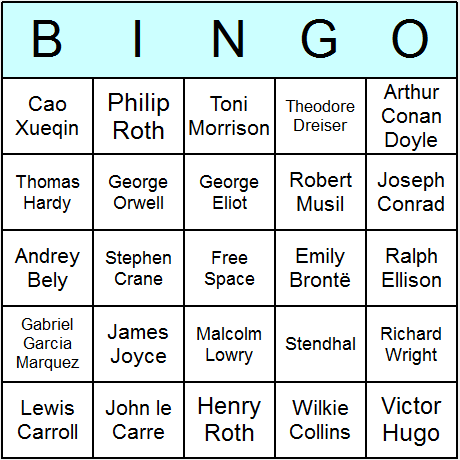 The "Literature" category contains printable bingo card templates about novelists and writers. 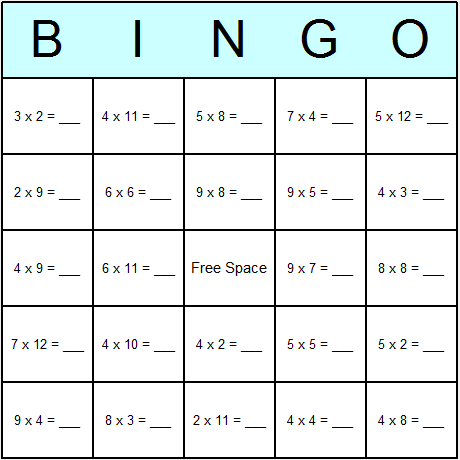 The "Math" category contains printable bingo card templates for math topics including arithmetic, fractions, decimals, shapes, famous mathematicians, and more. 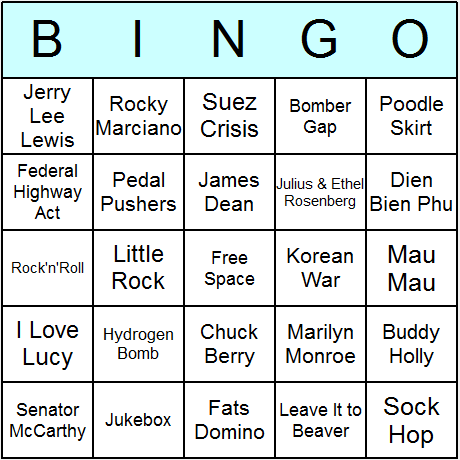 The "Media" category contains printable bingo card templates about movies, TV shows, magazines, newspapers, etc. 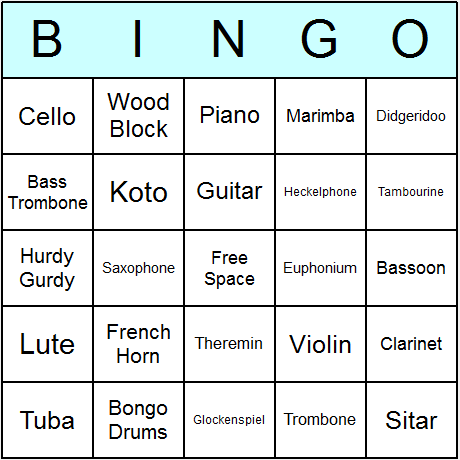 The "Music" category contains printable bingo card templates about music topics both classical and modern. 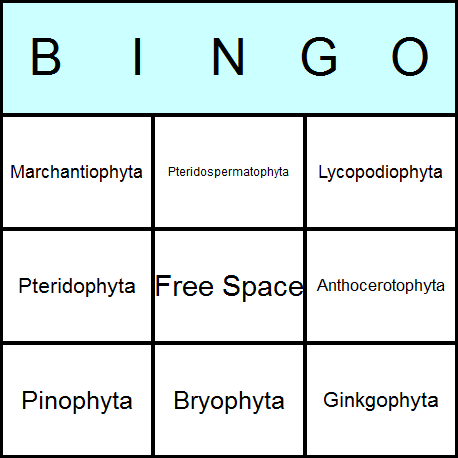 The "Myth" category contains printable bingo card templates about mythology, including Greek and Roman myths, Norse mythology, and more. 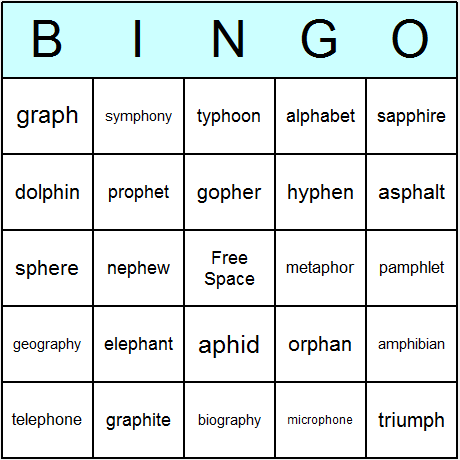 The "Reading" category contains printable bingo card templates for teaching reading including Dolch sight word bingo cards, and phonics bingo cards. 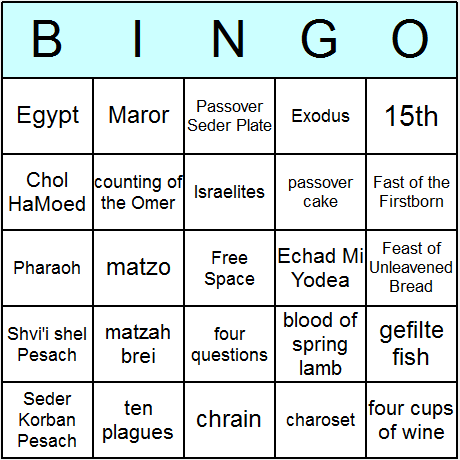 The "Religion" category contains printable bingo card templates for Christian, Jewish, and other religious topics. 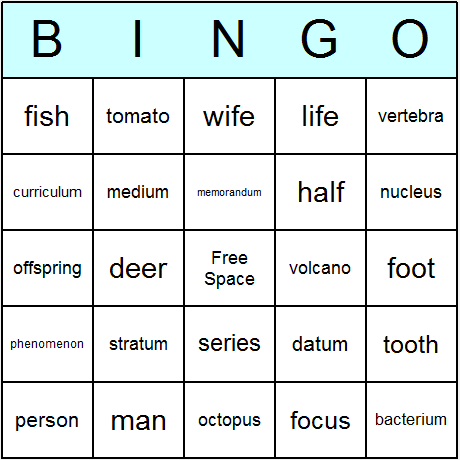 The "Science" category contains printable bingo card templates about science topics including astronomy, biology, chemistry, physics, and general science. 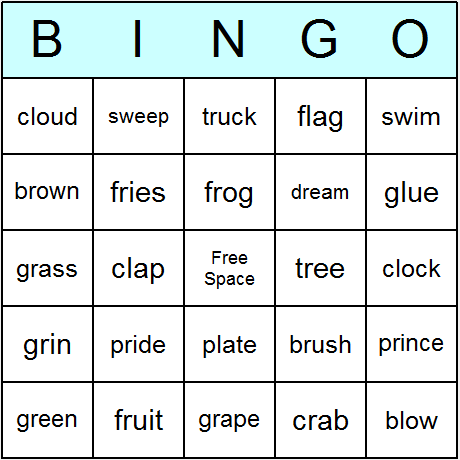 The "Sport" category contains printable bingo card templates about sports topics including athletics, golf, soccer, and tennis. 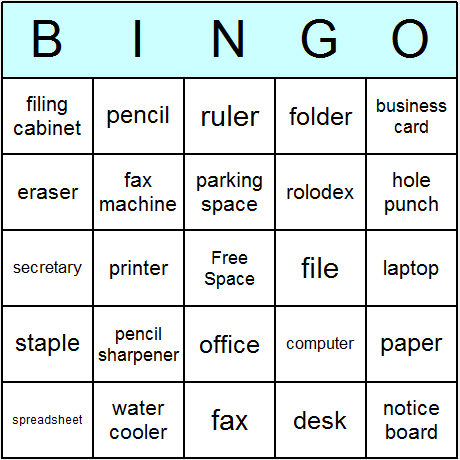 The "Technology" category contains printable bingo card templates about computers and technology. 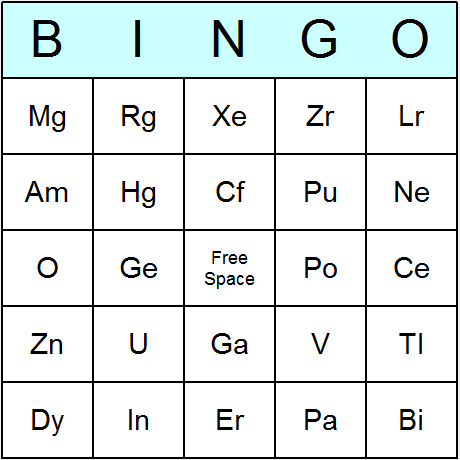 The "Time" category contains printable bingo card templates about the telling time, seasons, the calendar, and the zodiac.